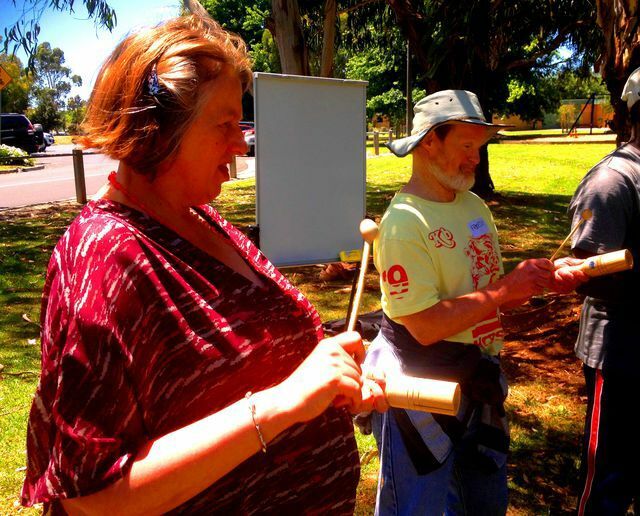 This is a work shop for groups of individuals to participate in song, percussion and movement. It provides opportunities of open expression in a non-judging, safe and joyful environment. It is aimed at promoting self-awareness, acceptance and freedom from the often confines of many participant’s abilities, also reawakening a strong sense of self on a personal level for all involved. These are fulfilling opportunities offered at Voice & Strings that help enhance both self-esteem and confidence on all levels. For further information, or to arrange an interview please call Michelle Heinrich Freeman on Mbl: 0416 302 963 or go to the Contact Us Page on the website www.voiceandstrings.com.au. I look forward to speaking with you and assisting you, and/or your clients needs. Join in the fun and get a group of 10 together to form your own Choir with the help of Voice & Strings professionals. You won't believe the wonderful sound your voice will make together in unison. It's a great way to make new friends, learn how to sing and become the singer you always wanted to be. Looking forward to hear from you so that we can get started.